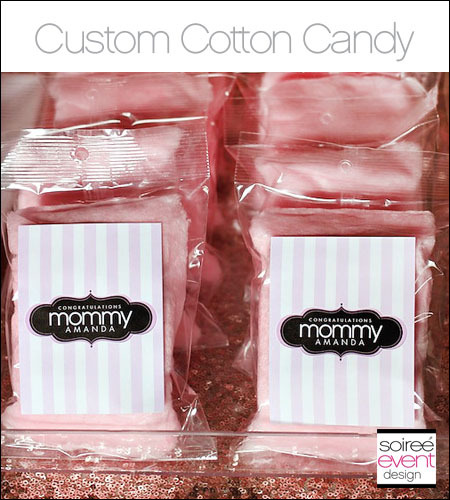 As seen on PLUSH Little Baby, this DIY printable party packages includes all you'll need to totally personalize your next baby shower and add that special touch to make it memorable. This theme matches well with any ladybug or garden baby shower theme. You will receive a digital PDF file containing all of the below items personalized with your name or your child's name that you will print and assemble yourself. • 1 table sign 8x10 "Baby Girl is On Her Way!" Invitation and Thank you cards are sold separately. 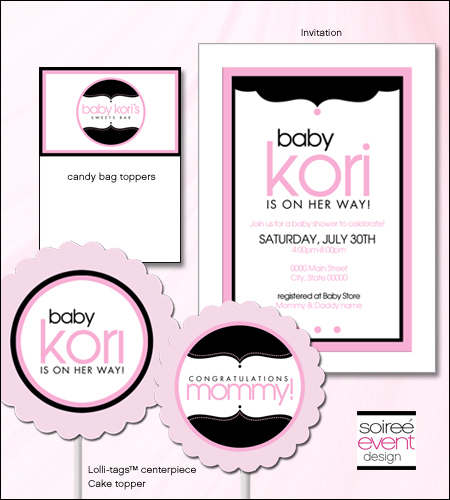 For ideas on how to use your printables, click here to check out our "Girly Baby!" sweets bar for lots of inspiration! 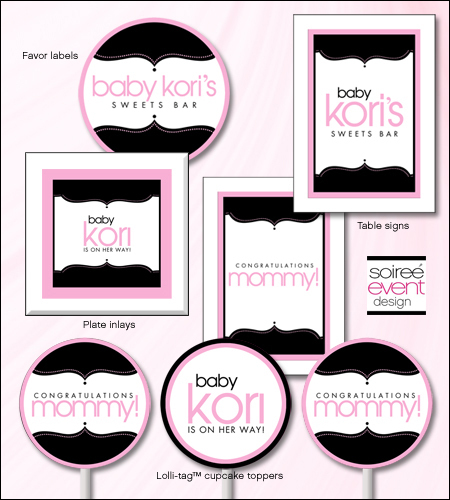 Want your favor tags & placecards personalized with each guest's name? Contact us with the number of guests you have for a custom quote. Ready-To-Use packages available! Contact us for quote. Includes everything in the DIY package printed, assembled and shipped to you ready to use.